If MetaDefender Core has been configured to run over HTTPS with a self-signed certificate, you may receive a fatal error message when connecting MetaDefender Client to the MetaDefender Core server. 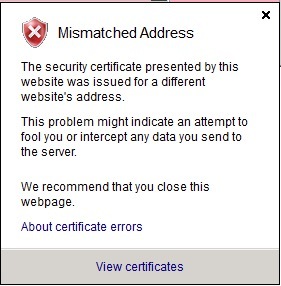 This error is caused by an incorrectly created certificate. To fix this, ensure that the Common Name set during certificate creation matches the HostName/ServerName of the MetaDefender Core machine. For example, if the MetaDefender Core machine's hostname is "Server1" and you input "Server2" as the Common Name when creating the SSL, you will receive an error with the notification that the certificate's address is mismatched. After the certificate is created, run the MetaDefender Client and specify the hostname and port of the MetaDefender Core machine (e.g. https://server2:8008/). Note: Even though the MetaDefender Core is configured to run over HTTPS, the port used will remain on 8008 (see above URL examples). If port 443 is desired, Metadefender Core must be configured to run on this port (443), instead of 8008. 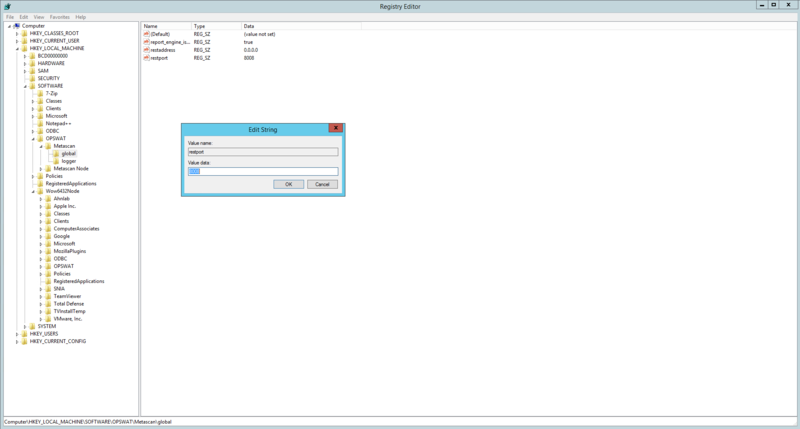 Navigate to the registry editor. Change the value of the restport key. After the value has been changed, ometascan and ometascan-node services must be restarted. Input the new URL when prompted by the Client (e.g. https://server2:443). This article was last updated on 2017-12-07. How to create a specific security rule for MetaDefender Client 3.12.5 in MetaDefender Core V4? How to scan mapped drives with MetaDefender Client?